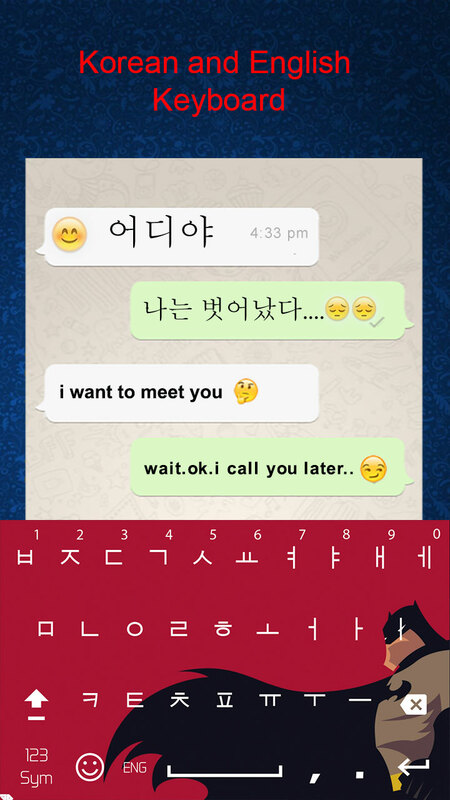 Introducing New Korean Keyboard which facilitates you to type in your native language. Korean keyboard app is especially useful for Korean language speakers all over the world. This Korean Keyboard provide you ease to write in Korean language. You can type messages, compose email, comment on all social media platforms and update status and all other writing activities you can done easily with Korean language keyboard. 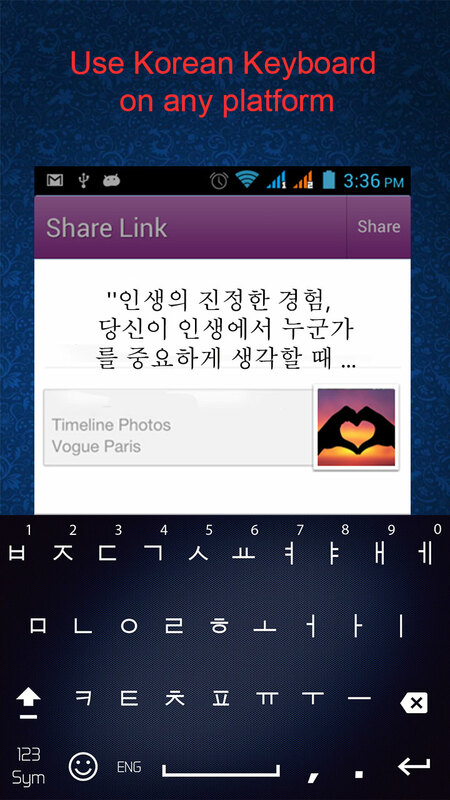 Korean Keyboard free is a language keyboard which contains all Korean Alphabets, words and letters. Korean keyboard 2019: Korean typing is the easiest typing keyboard with smooth key pressing to write in Korean language. Korean keyboard is for the users who love typing and speaking in Korean. Typing in Korean text is far easy than before, no need to copy and paste Korean text. Korean keyboard with English language comes with a vast category of interesting and amazing graphics and themes. You can select and set your favorite themes and background image in Korean keyboard 2019: Korean typing. 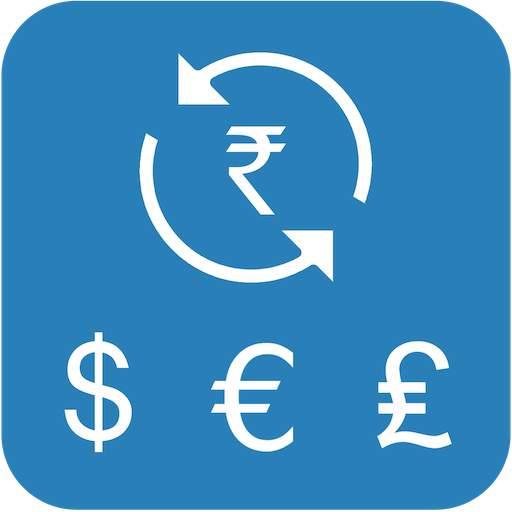 Set your own pictures as background and feel like home environment with language keyboard apps. Korean typing app will let you to type in Korean language. With this Keyboard you can write every type of word, letter, symbol, put emojis, numbers easily. Korean keyboard 2019: Korean typing is easy to use with user friendly interface provides user a good typing experience. Korean keyboard for android free gives you customization feature with specific settings. 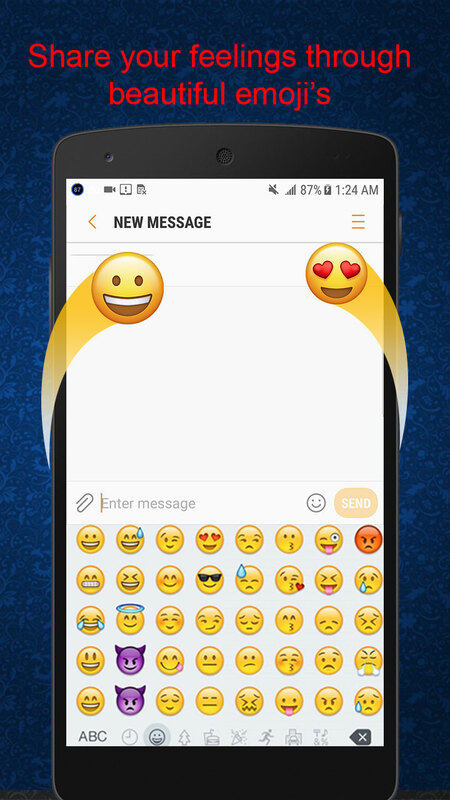 Bundle of Emoji, Emotion and smiles are included that will cheer up your chatting. Change the Korean keyboard to English and Korean within the same Korean keyboard offline. With a single click of button you can switch your keyboard from Korean to English and vice versa. To use Korean keyboard download it from Google play store (Uncle Keyboard Inc.). Open Korean keyboard 2019: Korean typing. Settings, choose the option of Enable. After enabling the best Korean Keyboard 2019, set the input method between the Korean keyboards typing and device default keyboard. 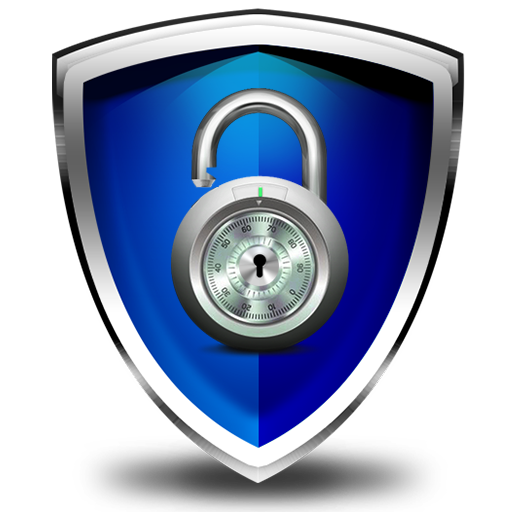 Use Korean best keyboards latest and stylish to type in Korean in your mobile and can send text to your family and friends.